24+ Seeds. 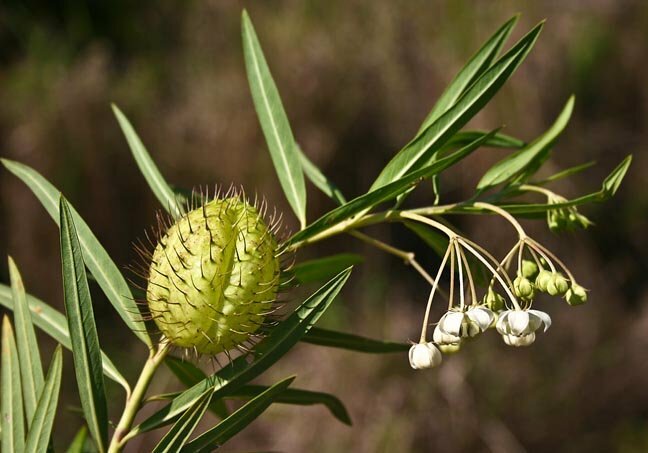 (larger quantities available) A slender, deciduous shrub, often treated as an annual. Quick and easy to grow, producing stems of small white flowers that magically transform into unusual translucent , soft, spiny balloons. Adds fun to borders and cut flower arrangements. As part of the Milkweed family, these are also host plants for the Monarch butterfly caterpillar. 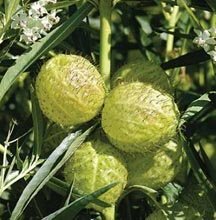 24+ Butterfly Milkweed Balloon Plant seeds (AKA: Hairy Balls, Fur Balls, Cotton-bush, Oscar, Giant Swan Milkweed), Asclepias physocarpus plus planting instructions, including a color photo for seedling id. Use the drop-down box next to the order button to select larger quantities at a discount. My experience with these plants is they bloom the first year from seed and can be planted anytime after last frost. It can be planted anytime during the warm months for the monarch and queen butterflies to use as a host plant for their caterpillars. A slender, deciduous shrub, often treated as an annual but reported hardy to zone 6. Quick and easy to grow, producing stems of small white flowers that magically transform into unusual translucent , soft, spiny balloons. Adds fun to borders and cut flower arrangements. It gets its name of ?Butterfly Weed? because the flowers are a nectar source for many butterflies and the leaves are a food source for monarch butterfly larvae (caterpillars). Don?t worry if the caterpillars eat the leaves ? 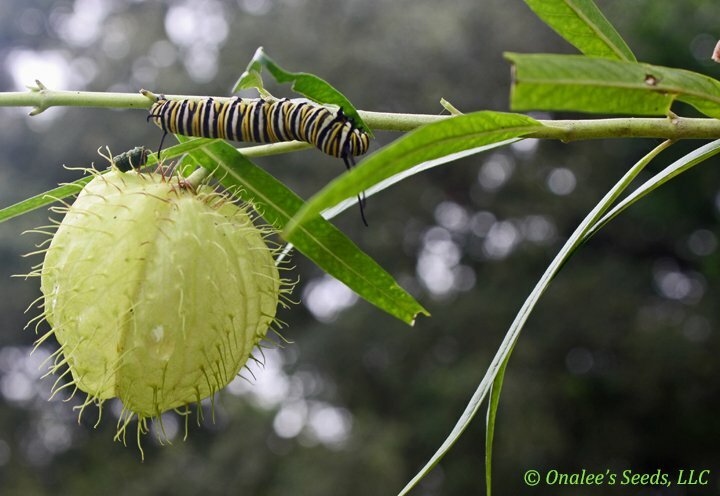 that is a milkweed plant's purpose in your garden, to help propagate more butterflies! To make sure you have plants for yourself to enjoy, be sure to plant enough for you AND the butterflies! Create your own butterfly garden by combining these with Torch Mexican Sunflowers (check my other auctions!) ? you will be amazed at the variety and quantity of butterflies you will attract to your garden with these plants! !